Summer is here, and to me, summer means FRESH HERBS. Lots of them. In every meal. I actually haven’t even gotten my act together enough to plant all of the herbs I usually grow in pots and planters during the summer, but I’ll get there eventually. I do have a little chive plant which I gave a buzz-cut for this recipe. So I’m not a total herb deadbeat. 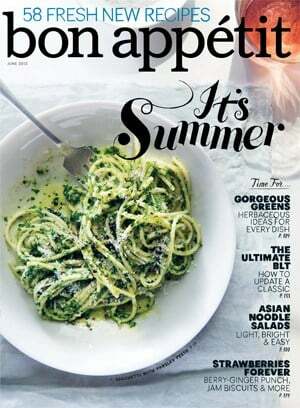 The June issue of Bon Appetit boasted a huge plate of the most herb-filled pasta I’d ever seen. I wanted to grab a fork and dive right in. But first, I had to Cook The Cover. Then…the pasta diving. When I realized Bon Appetit wanted me to make a parsley pesto, I got a little scared. But then I remembered that parsley isn’t my arch nemesis anymore. For a long time, I seriously hated fresh parsley. And fresh mint. And fresh rosemary. All of these herbs, in their dried form, were just fine (probably because they have like 1/1000th of the flavor of fresh herbs). You know when you go to a Mediterranean restaurant, and everything comes with tabbouleh on the side? Yeah, fresh parsley and mint? Oh, the horror. I’ve heard that your taste buds naturally change every 7 to 9 years. But I’ve learned that you can also train your taste buds with shock therapy. I taught myself to like olives by eating one every day for 6 months. Culinary school forced me to like fresh parsley. The first thing we did every morning when we came in was chop a huge pile of fresh parsley to set up our station for the day. Even if our dish didn’t involve parsley, we were required to chop it anyway, just in case.And it wasn’t just a rough chop. It was like a chop-this-parsley-until-it’s-dust chop. Leaning over a cutting board, breathing in parsley fumes for 10 minutes a day, every day, for 2 years, changed my taste buds. Shortly after I finished school, I found myself at my favorite Mediterranean restaurant, craving the tabbouleh more than anything on the menu. Shine on, you crazy taste buds. 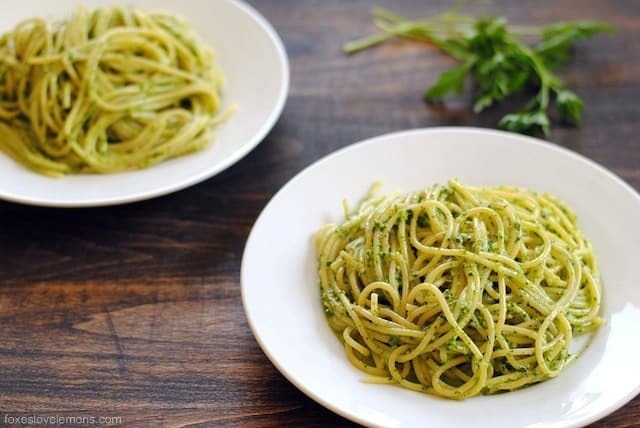 Out of old habits, I still tempered this pasta with an herb I love more than parsley – basil! It also has all of the chives my little plant would yield, Parmesan cheese, a handful of toasted almonds, and some red pepper flakes for a little heat. And yes, there’s lemon zest and juice in there. Of course there is. This is a dish that seems sort of fancy, but if you have a food processor, it’s about the simplest thing you can make. The herby flavors of summer shine through in this lightly-dressed spaghetti. Heat large pot of salted water to boiling over high heat. Add pasta and cook as label directs for al dente pasta. Reserve 1 cup cooking water, then drain pasta. Return pasta to saucepot and cover to keep warm. Meanwhile, place almonds in small skillet and heat over medium heat for 4 to 6 minutes or until golden brown, stirring occasionally. Transfer almonds to food processor and pulse until very finely chopped. Add remaining ingredients and process until smooth. Season pesto with salt to taste. 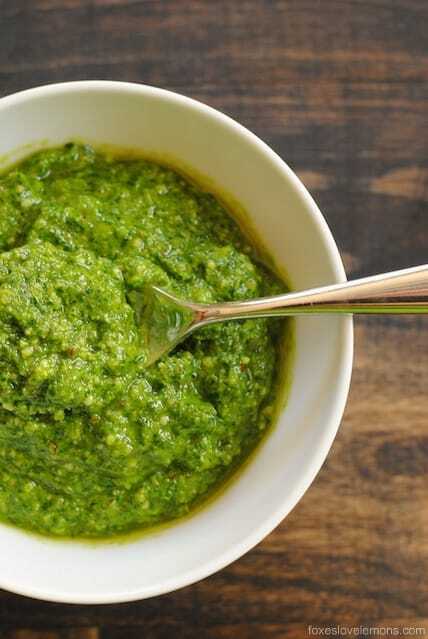 Pesto can be used immediately or covered and refrigerated for up to 5 days. 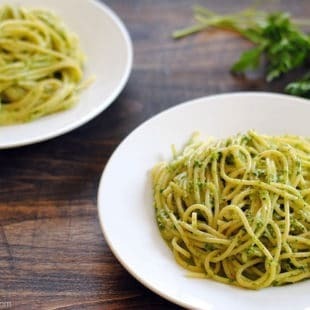 Pour pesto and 1/4 cup pasta cooking water over pasta. Using tongs, toss to combine, adding more pasta water as needed, by 1/4 cupfuls, until pesto sauce coats the pasta. 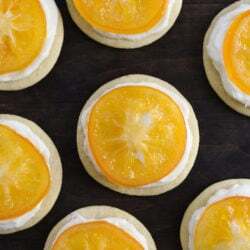 Serve sprinkled with Parmesan cheese. Lori, these are gorgeous photos! The green of your pesto just pops right off my screen. 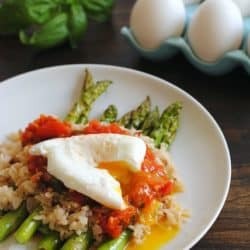 This sounds like the most delicious, light, fresh, summery meal. I’m obsessed with hearing about your culinary school experience. More and more, I just want to drop everything and bake to my heart’s content (the practical side of me refuses to give up the day job however). 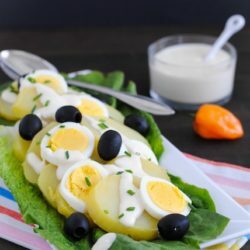 That’s fascinating about changing your taste buds – I’m glad you used the olive example because I can’t stand olives (unless it’s in tapenade, yum!). I wonder if I ate one every day, would my mind change? Nancy, thanks so much for all of your kind words. And there’s more culinary school posts coming at you in the coming weeks. Yes, the completely UNPRACTICAL (INpractical? I don’t know) side of me quit my day job and went to culinary school. The only reason I did the whole olive thing was because I was working at a grocery store salad bar. I was bored out of my mind, so decided to force olives on myself and assault my tastebuds. But I seriously used to cringe at the mere sight of them for my whole life prior to this, and now I willingly use them in things! I’m still not a big “plain olive” lover though. They need to be incorporated into other dishes. haha. I love that you used almonds instead of pine nuts, not a huge fan of the pine nuts. 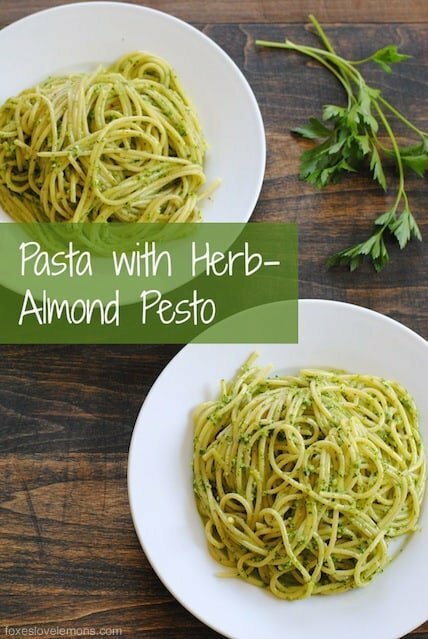 This sounds great, love making pesto!! BTW congrats on the CP for your gorgeous cookies. Love this post, great job!! This same cover tempted me, too! And I’m so glad you added a bit of basil…perfect! That was a last-minute decision – my chive plant only had a few measly stalks, and my store was sold out of chives, also. Basil it is! This is absolutely amazing. I love pastas like this. Perfect for weekdays. I have to admit I’m a big pasta girl. Thanks Kim! I’ve been really into pasta lately, after a long break (for no good reason, I just kind of forgot to make/eat it for awhile). haha.